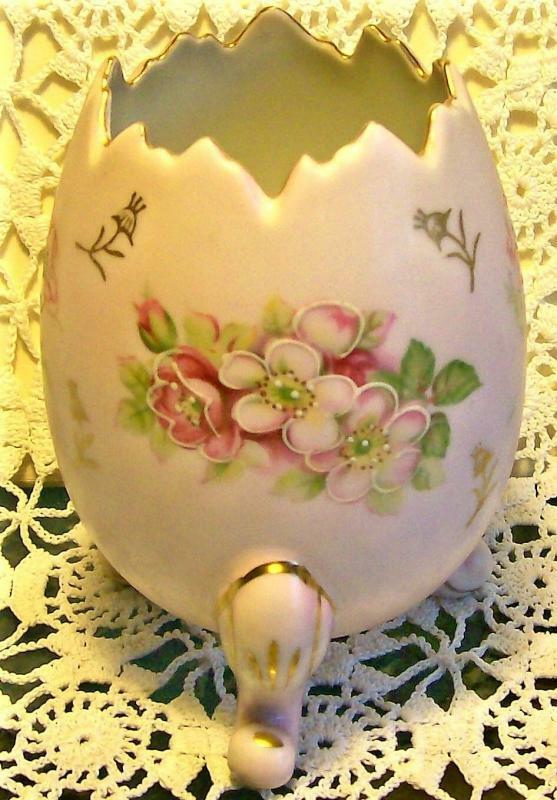 Ceramic egg-shaped vase, floral decal with hand painted accents and gold trim. Pale pink background. Stands 4.75"h x 3.5"w. Has 3 legs. Circa 1950's, most likely Japan. 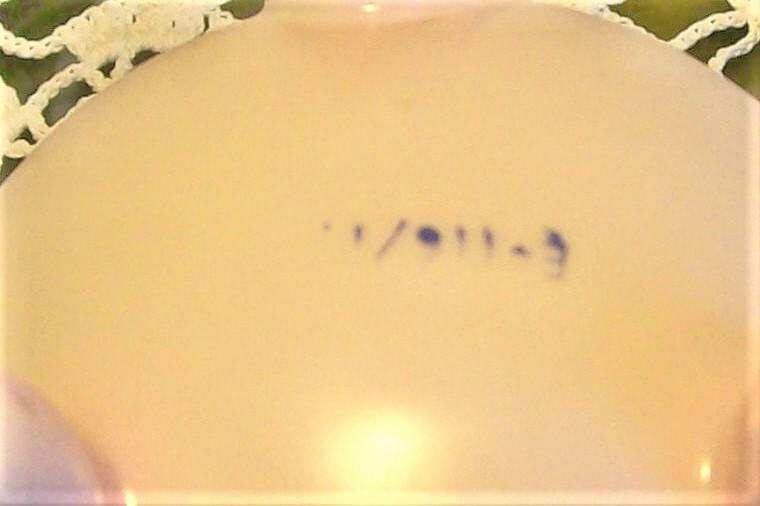 Partial mark on bottom of " _/911-3". Nice condition, no chips or cracks. Inglenook Antiques...Established 1989. 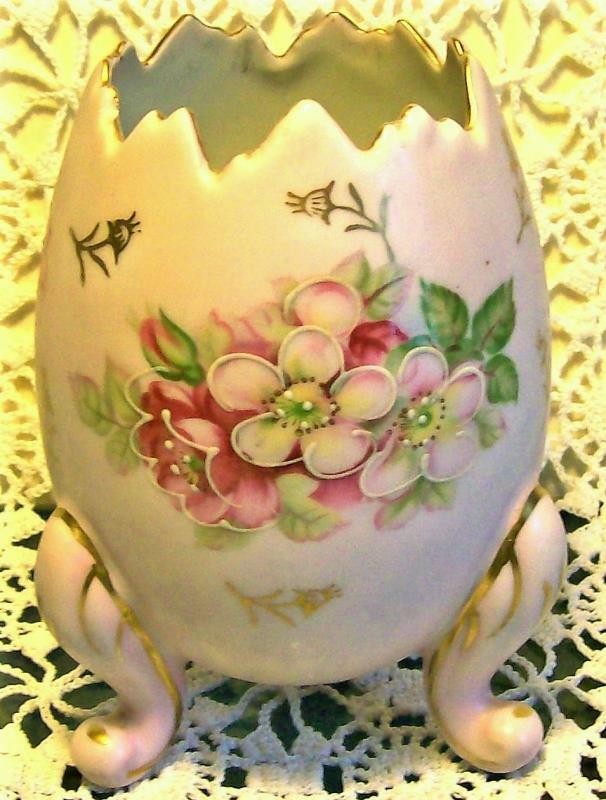 Items Similar To "Egg Vase Pink w/ Flower Decoration Ca. 1950s 4.75"H"